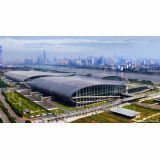 SPS - Industrial Automation Fair Guangzhou is the exhibition for industrial automation technology. It covers all components down to complete systems and integrated automation solutions. The trade fair and its adjoining conference are the ideal platform for comprehensive information on products, innovations and current trends within the industrial automation industry. Hence it gives an overview of the entire market.